You save 50% that's £120.00! 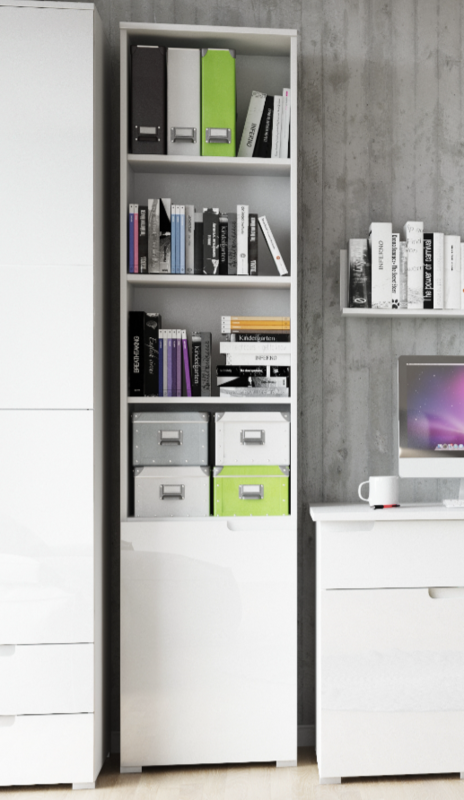 This stunning Cellini Tall Bookcase with White gloss Door and matt white sides is an ideal storage unit for your living area or bedroom as it makes a stylish, handy and highly functional addition to your home. 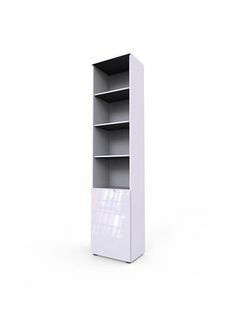 This white high gloss bookcase has six compartments including three external shelves, and one internal shelf to store books, binders, and decorative items. 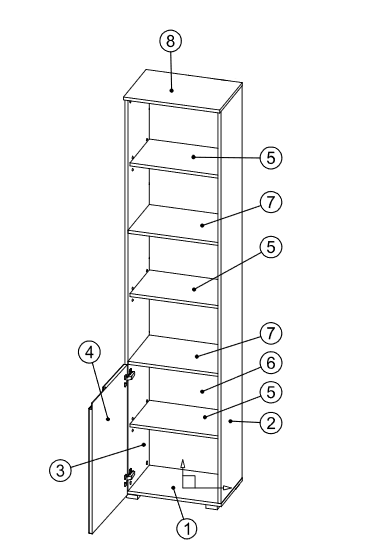 This perfect piece of high utility furniture delivers a nautical charm, functionality, and versatility to your living space and truly represents the modern sophistication of any room where this white high gloss bookcase is placed.